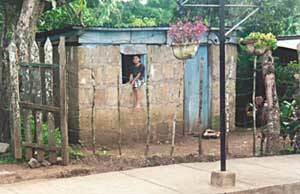 It is a small and characteristic village of Nicaragua where people work in seedling nurseries, make handcraft and raise horses. Placed on top of a hill at 520 metres over the sea livel present a a very agreeable climate, the temperature is beetween 22 and 27 degrees. On the highest point of the village you can find the Mirador Catarina that overlooks Apoyo lagoon. From here you can see the wonderful landscape of Cocibolca lake, the Mombacho volcano and of the town of Granada. On the Mirador you can also eat several good dishes in a characteristic restaurant refreshed by the brize of the lagoon. How to get Catarina you can catch a direct bus from Granada to Catarina every halt hour o from Managua to Rivas o Masatepe every halt hour a Catarina empalme.